The Naional Association of Music Merchants (NAMM) has appointed Blake Augsburger, president of Harman Professional, EVP of Harman International, and country manager, Americas, Harman International, to its Board of Directors. Augsburger is joined by seven other new board members elected from the United States and international music products community, including leaders from the retail and commercial domains. The NAMM Board of Directors guides and leads NAMM and the NAMM Foundation and offers counsel to the music products industry. 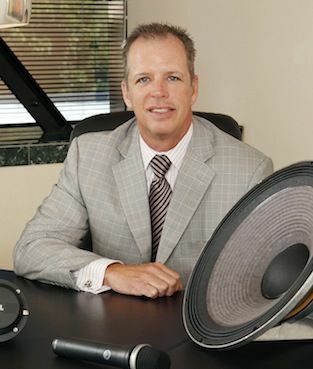 Blake Augsburger leads Harman's global professional audio, musician and lighting technologies businesses. As executive vice president and country manager for the Americas at Harman International, he also plays a leading role in the company's consumer and automotive businesses. Blake holds a B.S. and M.S., in electrical engineering, from Texas Tech University and has been honored as a Distinguished Engineer by the Whitacre College of Engineering at Texas Tech University. Harman is a long-standing and active member of the NAMM organization. Blake Augsburger’s appointment to the board, however, is the first instance of a Harman executive taking a senior leadership role with NAMM.